We’d love your help. Let us know what’s wrong with this preview of Spy School by Denis Bukin. When most people think of the word spy, they imagine gadgets – laser pens and exploding cigarette lighters – but the most important piece of equipment an agent has is their brain. Memory is vital to the work of an agent. The need for total secrecy often prevents them from recording anything, so operatives have to rely on their brains to retain and reproduce an incredible amount of information with absolute accuracy. Inside this book we will teach you how to enhance your memory and sharpen your mind with a range of exercises developed over many years and used to train the most skillful spies the world has ever seen. You will develop skills tested in the most extreme of environments and unlock the full capability of your brain. Full of puzzles, tests tricks and brain hacks, all interspersed with a cold war spy story, the Russian bestselling phenomenon Spy School is now translated into English for the first time. Learn the secrets to a vastly improved memory and see if you have what it takes to be a Russian spy. To ask other readers questions about Spy School, please sign up. Poradnik wypchany po brzegi ćwiczeniami i trikami na bystrość umysłu. Każdy rozdział utwierdzał mnie w przekonaniu, że o skuteczności tajnego agenta świadczy nie siła jego mięśni, ale praktyczne wykorzystanie szarych komórek. Książka nie liczy sobie zbyt wielu stron, dlatego możemy uznać, że temat został ledwie "liźnięty". Aczkolwiek wiarygodność zawartych porad potwierdzają agenci rosyjscy, którzy przyczynili się do powstania tej książki. Do tego trafnym zabiegiem było równoległe serwowanie fabuły utkwionej w dzienniku bohatera, razem z którym możemy piąć się po szczeblach KGB. Sometimes I wonder what goes through my head when I pick books. This book has Spy School on the cover and KGB. I could imagine this would appeal to two groups, those interested in reading about spying and those interested in reading about the KGB. If you were in either of those groups you’d be really pissed off after reading this book. It is neither about the KGB or about spying. It is a thinly disguised book about memory techniques. In fact as a guise you can see right through it, as an example Sometimes I wonder what goes through my head when I pick books. This book has Spy School on the cover and KGB. I could imagine this would appeal to two groups, those interested in reading about spying and those interested in reading about the KGB. Книга хорошая, взял бумажную. Дешёвую версию без картинок. Они в принципе не очень нужны. Для начала читал в электронной. там удобнее переходить по ссылка на игрушки. Ещё бы не забывать всё повторять, что тут рекомендуется, цены бы не было. Ну и вообще книга интересная. I don't often leave reviews but I really wanted to for this book because I think it's going to get missed by most people. The title is really deceptive as it's more a book on how to use your memory but it explains this really well in a much better way than other books on the subject. It's well structured, articulated and also entertaining. I've read so many books on memory yet this book covers some areas of memory and deductive reasoning that those books avoid. It somehow also manages to trim the f I don't often leave reviews but I really wanted to for this book because I think it's going to get missed by most people. It somehow also manages to trim the fat on the topic so you can have a good grasp of these techniques in a day. It's definitely a hidden gem you'll find more in the comedy, entertainment, puzzle or discount section of a bookshop but It did really be high up on the psychology or self improvement side. 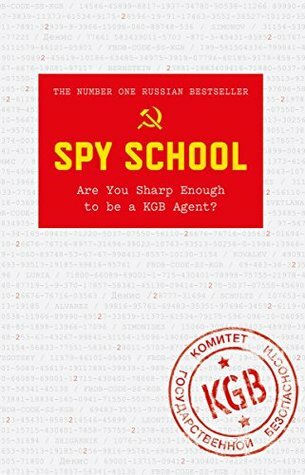 The Spy School is a Russian best selling book written based on techniques used KGB agents to become who they are. There are so many practical examples and tests to develop your memory power. 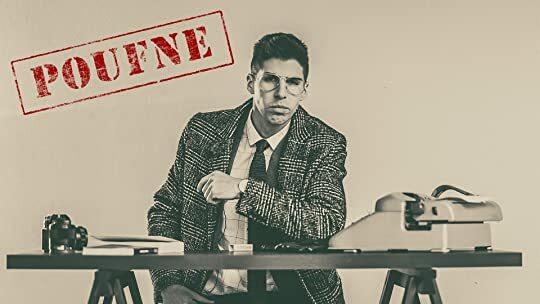 While giving example based education on memory power, the author construct a spy story starting from the recruitment of Agent Simonide where by the end he goes to very high ranks solving the case started. This looks to have some true spy training involvements and can be concluded a nice piece of reading with The Spy School is a Russian best selling book written based on techniques used KGB agents to become who they are. There are so many practical examples and tests to develop your memory power. While giving example based education on memory power, the author construct a spy story starting from the recruitment of Agent Simonide where by the end he goes to very high ranks solving the case started. Vsetko co ste sa chceli dozvediet o ludskej pamati, jej fungovani, manipulovani psychologiou a bali ste sa opytat. Zaroven zopar mentalnych technik pouzivanych KGB prisposobenych na dnesny svet, kopa cviceni na trening premyslania, postrehu a pamate. Doplnene mensiou spy story (ci uz realna alebo vymyslena) a opisane jednotlive spionazne "pracovne" pozicie s opismi prace, mindset-u a predispozicii. This is essentially a set of exercises for training your memory. And a bit cliche'y narrative injected between the theory and practice. Typically, US publishers would be able to pull off at least 5 different books covering the same depth of content: how to use mnemonics, associations, spatial memory, which health regime helps, how to profile people, how to forget (and make people forget) things, create cover stories etc. It's all within 200 pages here with all the useful take away points. И тут я понял, что люблю шпионские детективы. Очень необычный формат, и очень сложно проделывать упражнения, не пытаясь забежать вперед и не прочитав следующую часть истории про не по годам быстро продвигающегося по службе юного советского гражданина. Плюс, который одновременно и минус — большинство упражнений на веб-сайте, поэтому в самолете без интернета (привет, Аэрофлот) остается наслаждаться только самой детективной частью истории. Jest to bardzo interesująca lektura. Mamy tutaj jakąś historię, jednak mam wrażenie, że całość skupia się bardziej na różnych ćwiczeniach, które pomagają nam lepiej zapamiętać różne rzeczy. Po książkę warto sięgnąć, jeśli interesujecie się takimi tematami, bo wtedy naprawdę wiele możecie z niej wyciągnąć. This book gave me some interesting insights into the workings of the human brain, but uninteresting ‘case file’ interludes and some shoddy translation (from Russian to English) keep it from being really good, or memorable. Good combination of light reading & memory understanding of how memry works and how to manage it. It might be considered as too popular to be usefull, or not that deep, but for me it worked as a good combination of story, ideas, technics and promoted my interest to the memory control and training.